The Naar family wanted to build a net zero energy guest home that exemplifies the newest and most energy efficient concepts. 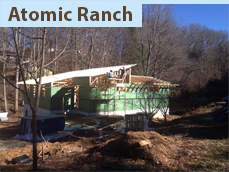 This house received the most points for a Gold healthy built home in western North Carolina! The Home Energy Rating System (HERS) consultant gave this house a four, which means this home uses only 4% of the energy of another home it's size. 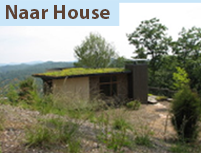 This home is a part of the NC Greenpower Project and the solaar is producing more than the home is using.